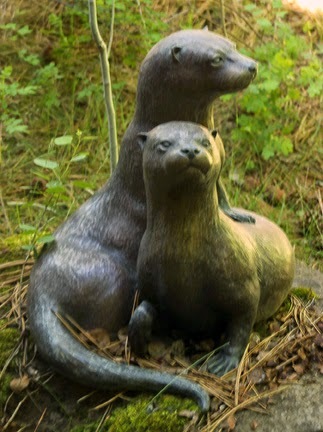 The High Desert Museum had both a living otter and an otter sculpture. The real otter made getting a photo difficult because he kept moving and swimming but at least he put on a show. He even flipped over on his back like you see in photos--but he didn't have a clam to crack open on his chest. Guess river otters have no need for that skill.